FIFTY - The epic tale! 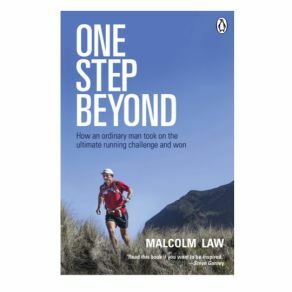 Described by the world's greatest living explorer Sir Ranulph Fiennes as "remarkable and inspiring" and by Anna Frost, Kiwi trail running legend as "heartbreakingly beutiful on every level", FIFTY - The Movie follows Wild Things Founder Mal Law's bold attempt to run 50 mountain marathons over 50 peaks in just 50 days, all around New Zealand, in order to raise an enormous amount of money for the Mental Health Foundation. The film is every bit as unique and epic as the adventure it traces, but it's also about so much more than just stunning mountain scenery and awesome trail running. It's about the 'power of purpose' and what is possible when thousands of people get together behind one man to help achieve something truly and utterly remarkable. "FIFTY is a truly remarkable and inspiring film that proves how much the human body and the human spirit are capable of when powered by a deep & selfless purpose. Set against the stunning backdrop of wild New Zealand mountain landscapes, it makes for compelling, gripping viewing"
"Heartbreakingly beautiful on every level"
"From the opening scene to the last credit this amazing film kept me not just captivated but entertained and thrilled". Mark Sedon, NZ Mountain Film Festival Director and head judge. "FIFTY - The Movie will inspire the armchair athlete in all of us to think outside the box, push boundaries and think what if?" "FIFTY - The Movie is a tale of raw emotion, hard truth, indomitable will and the triumph of human spirit over adversity. If you are a runner, watch it. If you are a non-runner, watch it. This is a feel-good movie with bloody knees"
"Whoever said there's no profound meaning in running has yet to see Fifty - The Movie. It moves hearts, minds and perspectives of what it means not just to be a runner, but how running makes a difference to the world and our individual journeys through life. A landmark film." "This personal story of goal-setting and achievement will resonate far and wide with runners and non-runners alike. New Zealand's stunning and sweeping vistas, interspersed with a heartfelt and honest narrative, showcase what this film is about - great people doing amazing things. Join Mal's journey, find inspiration, and celebrate being alive"
"FIFTY - The Movie" beautifully captures not only New Zealand's rich and varied landscape from the summit of 50 mountain peaks, but also the beauty of human endurance"